I heard rumors about a skate park in Tyrone. Where can I get more information about this? Are they building the skatepark then? The Skate Park is still a bit up in the air even after years. I tried to bring life to it at a public meeting last week. The idea was a portable skate park that could be put up and then taken down on a daily basis and moved to other locations when necessary. The idea of a Skate Park at the Park Ave. Playground was met with resistance from the neighbors, who came to the meeting with a petition. Their understanding was not spot on though. They were thinking it was going to be a permanent installation and was dead set against it. I may have to work it from another angle I guess. People are say they are for it as long as it is not in their back yard, which means they are against it. It is a shame. Everyone is fine with the mainstream sports but the action sports garner no such accolades. The youth and young adults, that participate in skateboarding, are looked upon as not worth the effort. 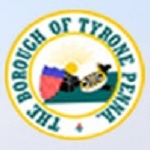 Well I think they are and I will keep working toward Tyrone having some sort of Skate Park within its boarders someday.